Brand ambassadors can be a powerful way to support PR and influence campaigns. They provide expert voices to tell brands’ stories and can help establish a brand’s credibility and authenticity with the media, bloggers and other influencers. We love to showcase the people we work with and for this month’s ‘4 minutes with’ we chatted with a brand ambassador we work with: nutritionist, chef, co-star of Good Chef Bad Chef and Vitasoy ambassador, Zoe Bingley-Pullin. I think of what I do as an evolution. I wasn’t very good at school when I was younger – I’m dyslexic and this affected my confidence. I had no idea what I wanted to do when I finished, but I’d always loved food so I went and studied at Le Cordon Bleu in London. I then combined this with a Diploma of Nutrition. Nutrition and the socialisation of food is something I’ve found really freeing and fun. Being able to help people improve their knowledge and relationship with food makes me feel good and I love creating healthy dishes for others and myself and get such a kick out of seeing everyone enjoy it. How has PR and media played a role in your career? PR and media have been integral to my career and my work as a nutritionist, chef and brand ambassador. For me, food is all about enjoyment and I want to help people find joy in food through educating them on healthy choices, and PR and media have helped me get this message out there. Specifically I’ve worked closely with brands and PR teams through my role as a brand ambassador, where I raised awareness about nutritious eating. What’s the most valuable career lesson you’ve learnt? The most valuable career lesson I’ve learnt is to always say when you can’t do something. And if you realise you can’t do something, don’t pretend that you can. If you’re unable to deliver on something, it could have a negative impact on your business or brand. I’ve also learnt the benefits of partnering with experts myself. There’s a wealth of talent out there than can help you, which has been especially important since becoming a mother. I’m trying to expand my business and I’m now working with a business coach to do this. I’m very strict about the brands I work with. I only work with brands that I love and that I’d give to my whole family. 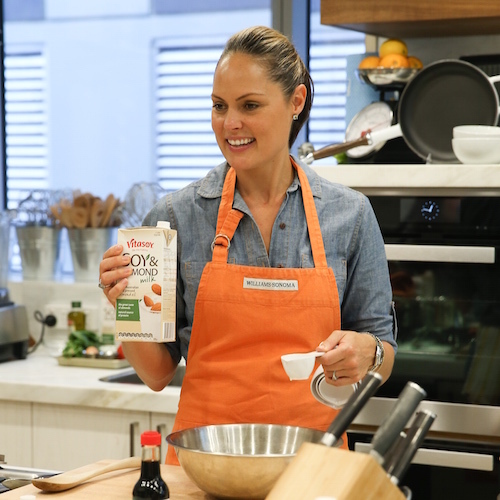 I also look to work with brands that are aligned with my views on nutrition and wholefoods, so that we can work together to build Australians’ knowledge on nutrition and healthy eating. And a final question we’re all dying to know from a foodie – what’s been your most memorable meal? One of my most memorable meals was in Rome with my husband, at a restaurant called Maccheroni. The dish was a simple pasta dish with olive oil, sea salt, chili and black truffle. I’m not talking about a little truffle either – there was so much truffle on there! I had it with a crisp green salad and a glass of rosé. It was a beautiful time and just showed that food doesn’t have to be overcomplicated. NOTE: FORWARD has been working with nutritionist, chef and co-star of Good Chef Bad Chef, Zoe Bingley-Pullin for the past year as an expert for Vitasoy. 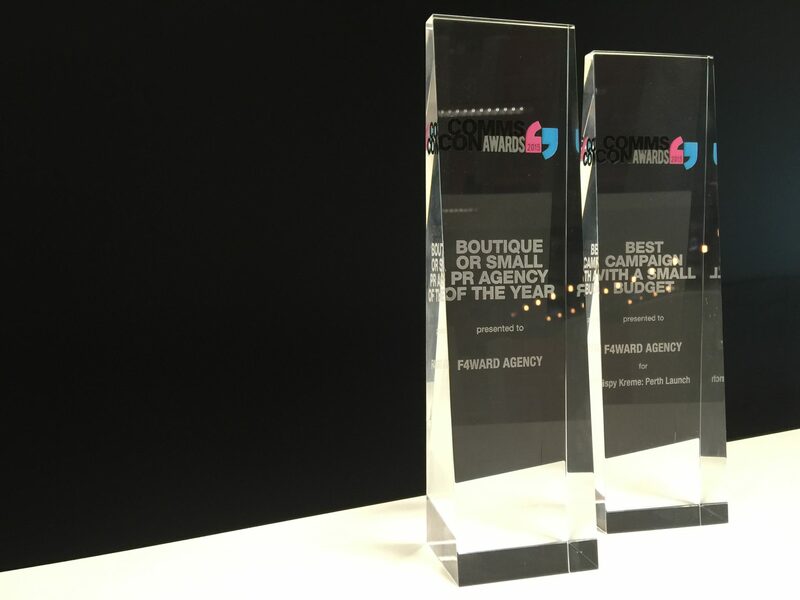 Thursday 19th March 2015 – FORWARD Agency took home two awards at last nights prestigious CommsCon Awards, including Boutique PR Agency of the Year. The public relations industry’s night of nights was held at Doltone House Hyde Park, hosted by SBS newscaster and comical genius Lee Lin Chin. 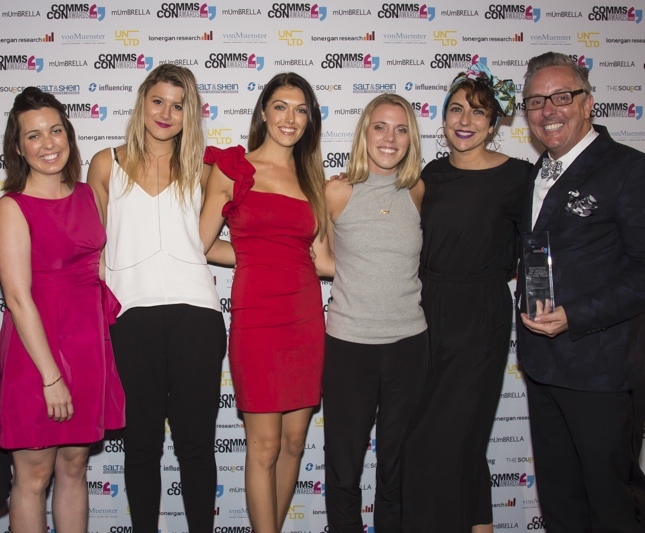 In addition to winning Boutique PR Agency of the Year, the team was also awarded for its work on the launch of Krispy Kreme in Perth, which gained unprecedented nation-wide coverage. FORWARD today announced its appointment as Australian Consumer PR and Influence agency partner for global specialised health and beauty products organisation, Mentholatum. The appointment was made after three PR agencies pitched for the account. FORWARD will work with the Mentholatum marketing team to plan and implement consumer media, blogger and influencer programs and personal care brands including integrated programs on its brands Alpha Keri and Natural Instinct.